In the aftermath the Christchurch, NZ mosque shootings, the world witnessed what a real leader looks like in New Zealand’s Prime Minister #jacindaardern. 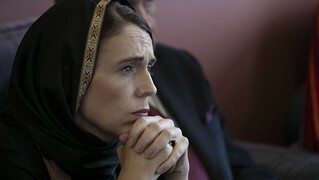 72 hours after the tragedy occurred, Prime Minister Ardern mourned at a vigil in full hijab attire, and promised the nation would not only cover the costs of 51 funerals, but would look after the families and their expenses for as long as it took. This, after announcing the New Zealand government would ban assault rifles. Real leaders do exist-- and you learn who they are under pressure and turmoil.